The nose starts off with soft sherry notes, oranges, tangerines and a touch of sultanas. Hints of toffee arrive, nicely mixed with ginger spice, white pepper and floral notes - maybe jasmin. Very pleasant nose! Sherry sweetness at first mixed with fruity elements of tangerines, oranges and ripe apples. Slightly warming with oak spice, ginger and white pepper. Notes of marzipan linger with toffee, milk chocolate and a whiff of cinnamon towards the finish. The finish is medium long, warm and sweet with apricot jam and toffee. Becomes slightly dry with oak and subtle white pepper. There's more floral notes - jasmin and bergemot - coming through when adding a few drops of water. Fruity with apples and white peaches. Sweet and fruity on the palate with oranges and apricots, complemented with ginger and oak spice. The finish shows medium length with dry notes of oak, pepper and ginger spice. 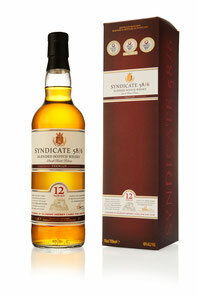 This is a soft blended Scotch whisky with a beautiful balance of fruity sweetness and slightly warming spices. The finish in Oloroso Sherry casks from Spain gives it an extra layer of richness. Bottled at 40% abv, there's no need for water at all. A nice summer whisky - very pleasant and easy to drink!